Year: 2014. 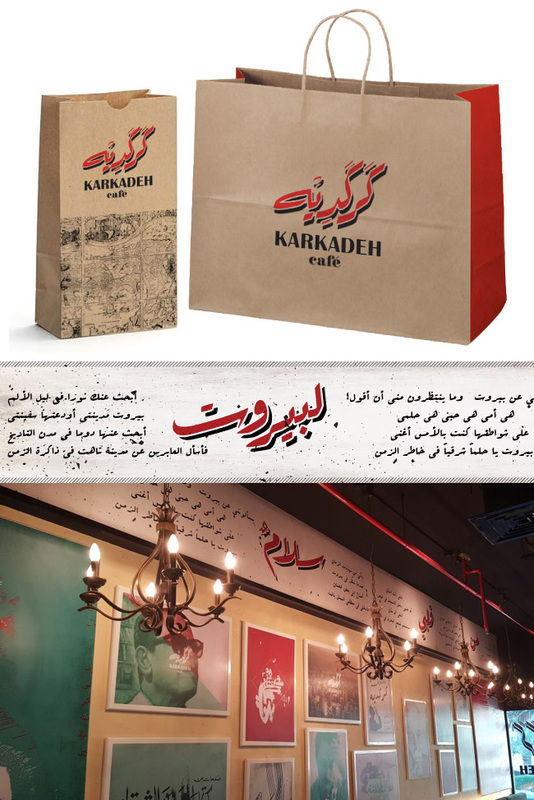 Client: Karkadeh Café, Kuwait. 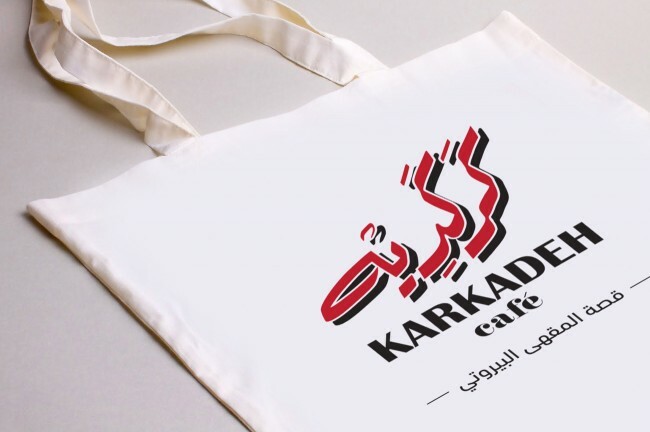 Karkadeh café is a café chain concept in Kuwait that opened in 2014. The cafe’s concept is based on the traditional cafés of the old city of Beirut: the cafés that once were the meeting point of intellectuals and artists of pre-war Beirut. 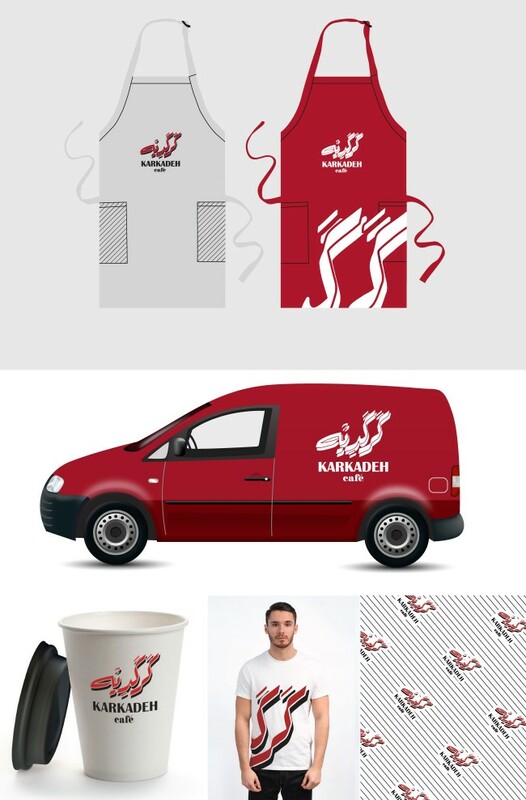 Tarek Atrissi Design was commissioned to develop the full branding of the cafes to be implemented in its first locations in a Kuwait city; and to be developed in detailed guidelines that will be the basis to carry the brand’s visual image across new locations of the café. The scope of work included naming, defining the brand’s personality, designing the full visual identity, art direction of interior design and applying the visual design on all materials for the café (print, online and 3D). 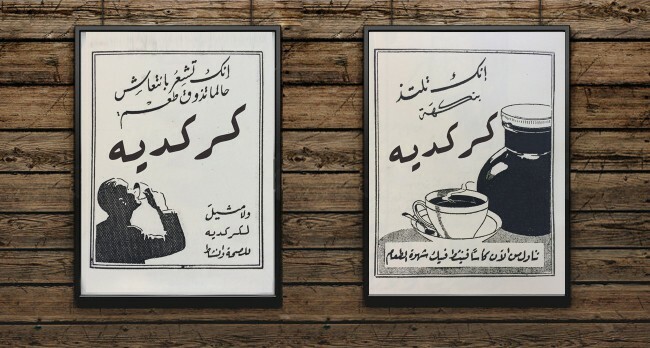 The logo designed for the cafe was inspired from the history of branding of small similar cafes in the old days of Beirut. A simple Arabic calligraphy design of the word Karkadeh, inspired by the popular Ruqaa style or the time, matched with a Latin typography inspired by the French colonial influences of the Lebanese city. Red, black and white were define as the primary colors used in the identity and wooden texture / material was used as well as a main visual element in the graphics and the interior. Interior graphics played an important role in setting the right atmosphere of the space and to accentuate the concept of the design and the interior. A main large mural dedicated to 2D graphics was filled with framed posters and visuals designed specifically for the cafe. 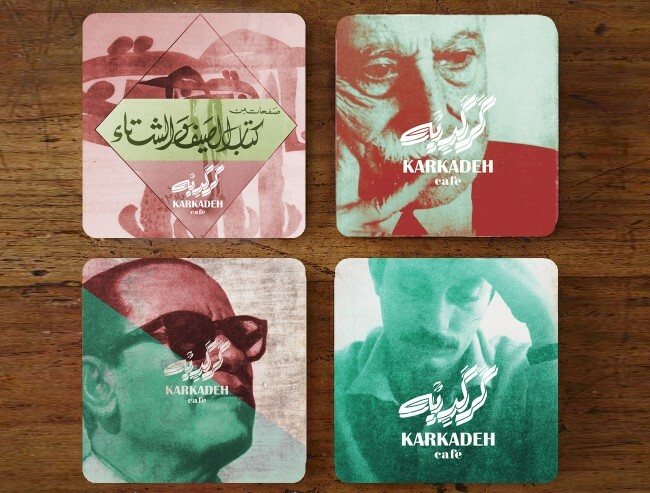 Vintage book covers and old intellectual journals and publications of poetry, art and literature inspired these posters. Part of the interior graphics featured Arabic poems about the city of Beirut by well known Arab writers. The design and the branding of restaurants and cafes require the consistency of carrying the visual style to the smallest details of the visitors’ experience. The tables setting followed the defined color palette of the brand and the overall cafe concept. The cafe serves traditional Lebanese breakfast and light meze for lunch and dinner. Arabic coffee is as well a key element on the menu and plays an important part of the cafe’s concept. 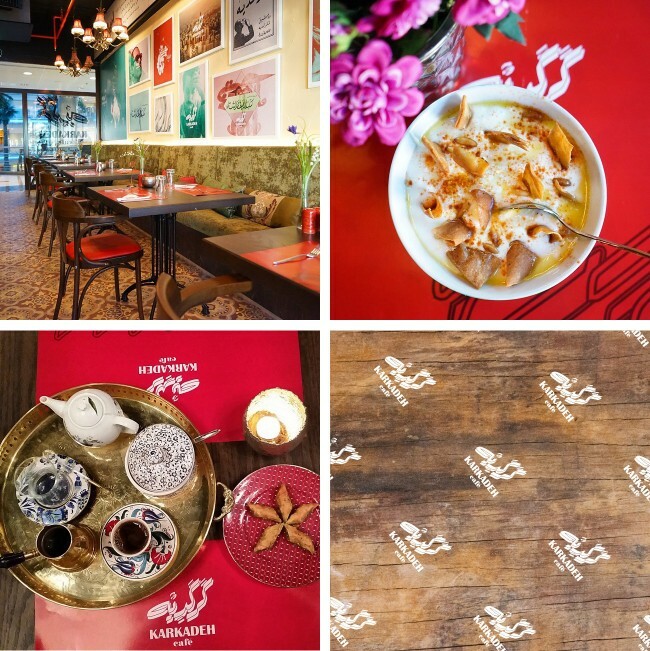 The images shown on the page are previews from the visual identity developed for the cafe, and actual photos from the interior of the first cafe location at Sharq mall in Kuwait. The video below shows impression of the cafe’s interior and gives a taste of the brand design and concept.